Hey there. You know, when you have kids, it's almost a given that sometime during the year, you will be off in the middle of the night looking for an open pharmacy to get some medication for your your little ones. It's inevitable. I remember this particular time, a few years ago, when my young one had a nasty cough and we couldn't get it to calm down. I was on the phone, calling pharmacies at 1 am in the morning trying to find one that was open. Even though there were many 24 hour stores open, the pharmacies would be closed. When I found out that my local Walgreens had a 24 hour pharmacy, I was off to consult the pharmacist. Thankfully, the pharmacist pointed me to right medicine and I was able to help our young one get better. Coincidentally, my prescription meds were covered by Express Scripts at the time. If needed, I would have been able to get any prescribed medicine at the same Walgreens if I were to need it. Why bring up Express Scripts? Because Walgreens and Express Scripts could not agree on a contract and because of it, as of Jan. 1st, 2012, Walgreens will no longer be a part of the Express Scripts pharmacy provider network. Now, my prescriptions are no longer covered by Express Scripts so I should just drop this, right? Wrong! After reading what happened between the negotiations between Walmart and Express Scripts, I was upset that Express Scripts seemed to be the difficult party. It was almost as if they were making it tougher for Walgreens to accept their deal. Walgreens wanted to work it out. They were more than willing to keep their rates steady to avoid a price increase. That wasn't enough for Express Scripts. They wanted to slash Walgreen's reimbursement rates. Not cool, Express Scripts. Then there is the Tricare issue... Tircare is a client of Express Scripts that provides health and prescription drugs benefits to the military. Walgreens stated to Express Scripts that they were willing to match or even beat Tricare prices to avoid having America's military personnel from being caught in the middle. By rejecting these talks, Express Scripts has severed the Walgreen's branch of help from many vets in need of low cost medication. Walgreens, however, is here for the people and have helping those who need help. During the month of January, the Prescription Savings Club at Walgreens has been slashed significantly in order to continue to offer low prices on prescriptions. An annual memebership will be $5 as opposed to $25 and a family membership will only cost $10 as opposed to $35. This will ensure that you will be able to score some great savings on over 8000 brand name medications. With this great savings club, some 3 month prescriptions are as low as $1 a week. Help support Walgreens and help support those in need. Follow Walgreens on Twitter for all the latest development, news, and savings that they offer in their stores across the US. Also, feel free to check out Walgreens on Facebook for additional savings! 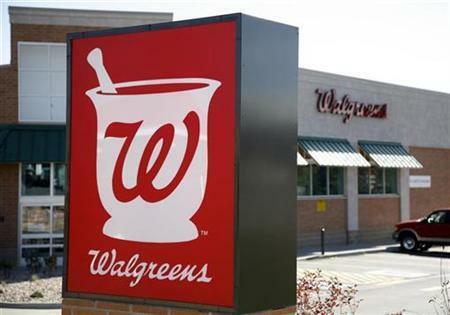 Walgreens is trying to do what's best for it's customers and for America. Let's not let this great effort go unnoticed. Spread the word of what Walgreens is doing and hopefully you'll help someone in need save a lot of money in the long run. Later! I usually buy prescriptions from Walgreens because it is close to my house and convenient to stop by when sick and needing medication.